Theft of tools or cargo from vans is all too common an occurrence. It’s not just a matter of replacing the items that have been stolen – van break-ins can leave people unable to work, behind on their schedules, losing contracts and facing higher insurance costs. Vehicle manufacturers are improving security on their latest models, but there are huge numbers of vans and light goods vehicles on the road which have inadequate protection. You’ll see vans out there with clumsy hasps and padlocks which offer only a mild deterrent but plenty of hassle for the driver. 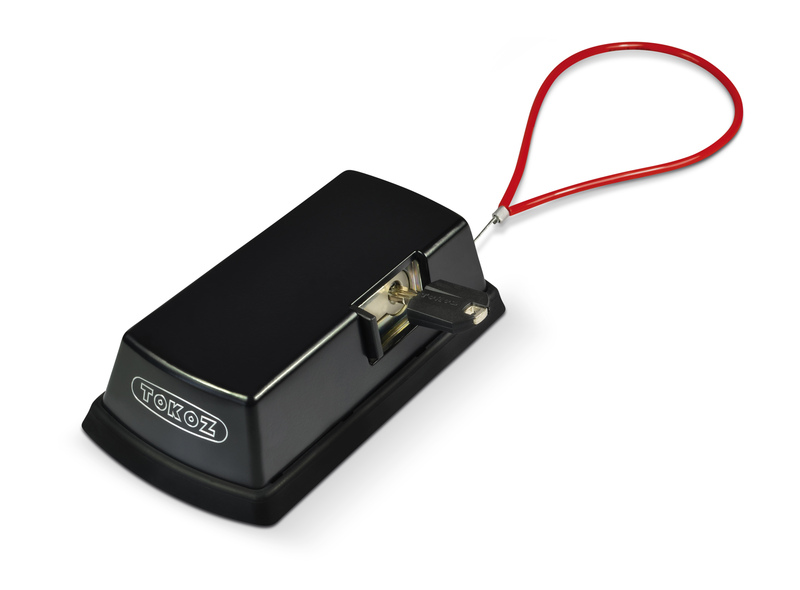 New to the UK is the Vanlock, a universal auxiliary lock developed by Czech security specialists Tokoz®. The beauty of the Vanlock is that it can be retrofitted to almost any rear or sliding vehicle door. It’s practical with a dual slam-latching and locking action, which means the driver isn’t constantly fumbling for keys or risking things by leaving the vehicle unlocked ‘for a minute’. That slam-locking technology is backed up by an internal emergency escape toggle. Vanlock is purpose made for the job, strong and corrosion resistant with stainless steel components and a Makrolon® cylinder cover. It’s available in black or white, to suit most vehicle livery or fleet colour schemes. The Vanlock utilises a euro profile single cylinder so they can be masterkeyed into an existing Tigris master keyed system, they can be keyed alike or simply keyed to differ. For those operating a fleet or working in situations where varying security levels are required, the Vanlock can be part of a larger fleet master-key system. With vehicle security a major issue, Vanlock is sure to be a hit, but it is only part of a wider range of Tokoz® security products that are now available in the UK. Recognising the need to secure larger moveable domestic and personal items such as wheelie bins and motor bikes to even larger industrial equipment such as cement mixers, Tokoz® has introduced the X SAFETY BOX range. This too is locked with a euro profile insert cylinder, allowing these locks to be included as part of a wider home or business master key system. The new Tokoz® Vanlock and X SAFETY BOX range are available in the UK exclusively from security experts Access2. To find out more call +44 (0) 191 215 0530. Smart lock, smart home, smart living.